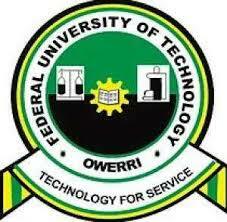 Federal University of Technology, Owerri Postgraduate Admission List 2018/2019 – Check FUTO Postgraduate Admission Status. 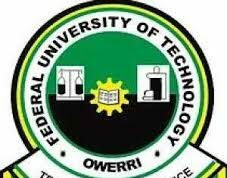 The Federal University of Technology, Owerri (FUTO) Postgraduate Admission Lists has been released for the 2018/2019 academic year. The management of the Federal University of Technology, Owerri (FUTO) has released the names of successful applicants offered provisional admission into postgraduate programmes for the 2018/2019 academic session. FUTO Postgraduate admission list has been successfully uploaded on the institution’s admission status checking portal. FUTO admission list is simply the names of successfully admitted applicants offered provisional admission into an institution. Admission lists are usually released by institutions after the conduct of admission screening exercise. Below are the procedures for checking your Admission Status on the portal for admission into the Federal University of Technology, Owerri postgraduate programmes for the 2018/2019 academic year. Go to https://futo.edu.ng/2019/01/18/2018-2019-pg-list-batch-a/. Enter your Name or Registration Number in the Search box to know your admission status. Go to https://futo.edu.ng/2019/04/12/pg-batch-b-2018-2019/. Enter your Name or Registration Number in the Search box to know your admission status. Congratulations if your name is among the successful candidates in the postgraduate admission lists of Federal University of Technology, Owerri (FUTO).